Guide to visit Yucatán: the mayan Ruins. To visit Yucatan! We have everything here. Lest’s take a look one by one. 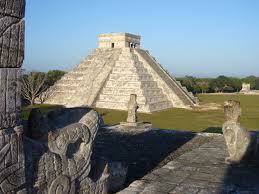 The two most important are: Uxmal and Chichen Itzá. All the Ruins in Yucatan are mayan ruins. They used to live around a bunch of years ago and they still have a strong presence among the people that live not in the capital city, but in the rural areas of the state of Yucatán. How on Earth did they became from a great civilization with outstanding development in astronomy, architecture, mathematics, to a poor bunch of people drowned in alcohol and with all kinds of social problems, that I don’t know. And certainly I don’t like that. Poor people. 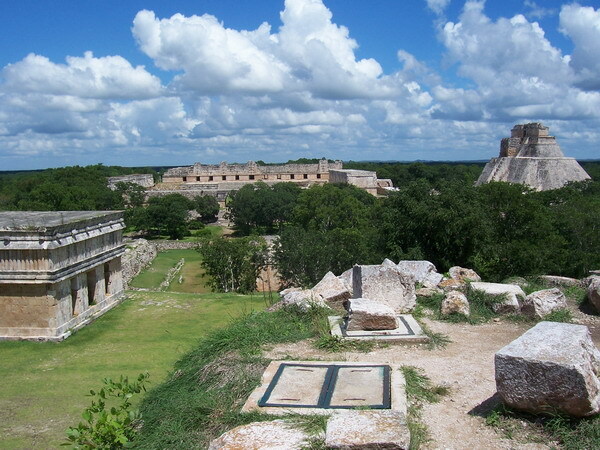 UXMAL is really breath – taking. Is astonishing. To see this marvelous buildings, the way they are accommodated in relation to each other, in the middle of the jungle… Really something else. To visit Uxmal, is a good idea to: do it in the winter, because in summer or spring is extremely hot and humid and simply can’t be done without dying of thirst. Well, maybe I am exaggerating to make the point. But take my word for it. It’s really hot. Another great tip is to wear shorts, comfortable shoes like tennis shoes, bring bottled water. One of the really cool things that you can do in Uxmal is climb the buildings. Go upstairs and watch the scene from the top. In Chichén Itzá, you can’t do it no more. I used to do it when I was a little girl, but the Goverment prohibited in order to preserve the ruins from wear. You can go to and come back from Uxmal the same day, or you could stay in a little hotel very near the archeological site, to have a two day visit very enjoyable. I personally like Uxmal the most, but Chichen is also magical and beautiful. It’s one of the Seven Wonders of the Modern World. It’s very extended, so the perspective is different from what you see in Uxmal, but not less incredible. Chichén Itzá is very far from the Capital City. Is about 2 hours away. Is big and like I said, one building is kind of far away from the other, so you will have to walk a lot. But it will be worth it, believe me. Chichén Itzá is exactly half way between Mérida, which is Yucatán Capital City, and the place where I live, and Cancun, which is a place in the State of Quintana Roo, also beautiful, with the most amazing sea in the world, that is: the Caribbean sea. You can visit Chichén and then go back to Merida, or you could continue to Cancún after the tour to Chichén. Next post: the Beach of Yucatán. Be sure to visit!